The tech-media is starting to pop and crackle with news that a new, disruptive plan for the internet is launching. But you hear stories like that all the time, right? Every other day some group of future tech titans announces how they are going to change the world from their dorm room. But this time it looks a little different because of who’s involved with the project, the fact that there is some real-deal code for us to look at, and that some interesting VC money is flowing in the right direction. And yes … if they are successful, it could upend the business models of the Facebooks and Googles of the world in deeply meaningful ways. Here’s what you need to know. Tim Berners-Lee is a professor of computer science at Oxford and MIT. He has also been knighted by the Queen of his native England, among many personal and professional achievements and accolades. Those are pretty impressive credentials as they are. But Berners-Lee is also the guy who invented the World Wide Web – the ubiquitous “www” that facilitated the transformation of the internet from a glorified message board for wonks into the globally-dominant information, communication, social, and business platform that it has become. In short, he is an authority worth listening to. About ten years ago he started to become dissatisfied with the intrusions upon privacy, ownership of personal data, and the questionable actions of big internet players such as Google. This prompted him to start working on a new model for data communication over the internet. This has become the “Solid” web platform – a linguistic compression of “Social Linked Data.” Just a few days ago, Berners-Lee announced that he was taking a sabbatical from his professorships and had arranged venture capital funding to work on “Inrupt” – his start-up to help developers create applications and services on the Solid Web platform. What Is the Core Idea Behind Solid and Inrupt? In the current internet data model, apps are built by businesses. Those businesses deliver services that attract users who create profiles by entering or uploading their data. Then the business collects other data and statistics on the user over time. All this personal information is stored on the servers and in the databases of business along with the data of thousands or millions of other users. Importantly, the information collected then becomes an asset of the business – used for their marketing or sold to others. The problem is that the user’s data is no longer really “their” property. This data is extremely valuable to both marketers and manipulators. The average user has no real comprehension of how valuable all that data about them is. In a very real way it gives businesses too much control and power. Inrupt imagines a flip of the existing personal data ownership model based upon the Solid web platform’s decentralized data structure. Users create one or more “Personalized Online Data Stores” (PODS). They can even create specialized PODS for specific applications or groups of applications. The really innovative aspect of all this is that individual users “own” their PODS and everything in them. 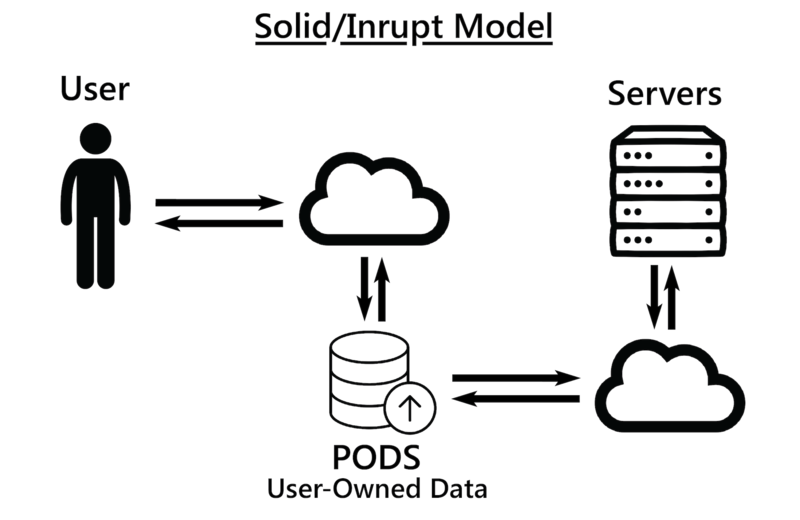 Users grant permission to businesses, applications, and web services to access their PODS and control what information each is allowed to access. Data collected by businesses about the user is populated back into the PODS. Users can cut-off access to any one whenever they wish – instantly severing the “data relationship” between them and any business, application, or service. That user data never becomes an asset to anyone except the user. 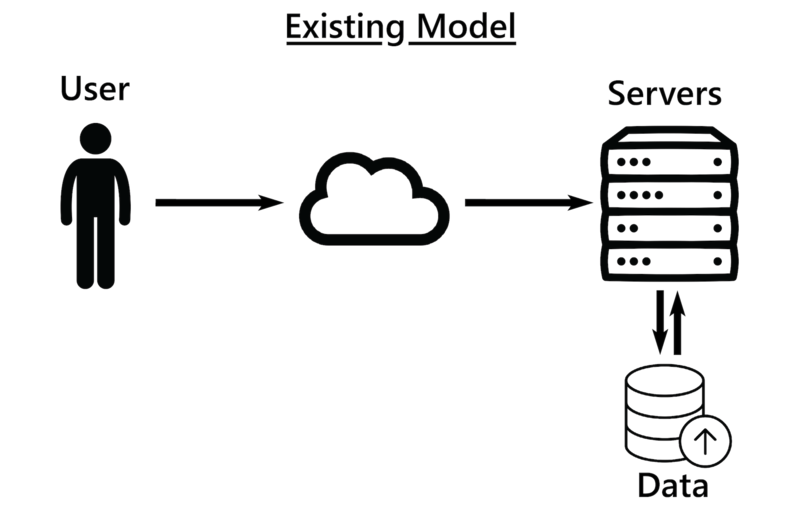 Specifications and design notes describing a REST API to extend existing standards, to guide developers building servers or applications. Servers that implement the Solid specification. A test suite for testing and validating Solid implementations. An ecosystem of social applications, identity providers, and helper libraries that run on the Solid platform. A community providing documentation, discussion, tutorials, and presentations. 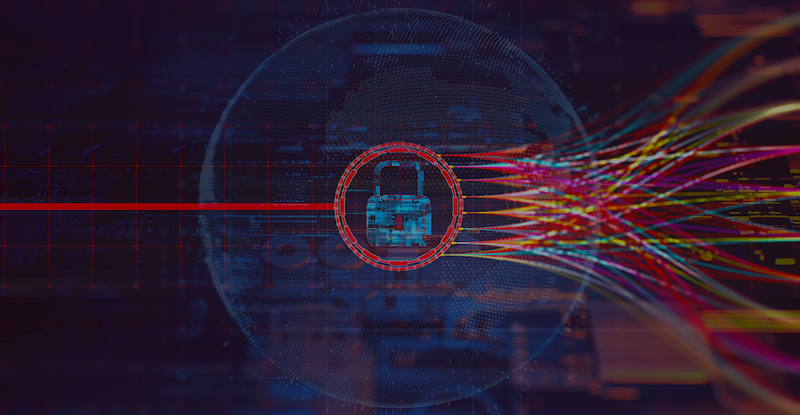 According to a recent announcement by the Solid working group, the next major release – 5.0.0 – will complete the core feature set, adding support for Group ACLs and stabilizing OpenID Connect authentication, among other things. Today we have to log into Facebook to modify or access our own data and Facebook does not allow us to access or change most of what they know about us. If Facebook does not like what you do, they can cut you off. And they use everything that they know about you to sell access to you to others for profit. Once you use their service, Facebook has all of the power and control. If the Inrupt-Solid model were used, you could do whatever you want with your data – limit it, change it, or delete it. And if Facebook ceased to please you or provide the value you wanted, you could cut them off. “You” and your data would never become assets of Facebook. Granted, the recent GDPR legislation in the European Union sought to rebalance the scales on data ownership and privacy (we’ve written extensively about it). But the Inrupt-Solid model does not require regulation or compliance since it shifts data control completely away from any centralized business entity. And consider another thing … if Inrupt and Solid are ultimately successful it will be more than just major business models that will be disrupted. Imagine a world where a hack at Facebook does not expose the personal information of millions of users. Sure, individual PODS might be hacked (remember that EVERYTHING online should be considered “hackable”). But the effort required to hack a single user account would likely be economically far less attractive to the black-hats of the internet. Is the Inrupt / Solid Model a Game-Changer? The potential is huge. And the potential for market disruption is even bigger. Pardon the pun, but the ideas behind Solid and Inrupt are technically … ahem … solid. And current bandwidths are sufficient to handle the loads. So this CAN be done and their model is revolutionary. But no doubt they will face significant pressures and resistance from – you guessed it – Facebook, Google, and the other behemoths who’ve grown fat, happy, and complacent feasting on user data. Elites never like it when you mess with their profit margins at the user-data buffet. But this is definitely a disruptive innovation worth watching … and worth rooting for. Interested in Working with ICG? Whether you’re at the starting phase of your project, nearing the end or somewhere in between — we can help.